Big playground with a separate, gated preschoolers’ area, a pond with ducks, a splash pad and a lagoon make up Aotea Lagoon. 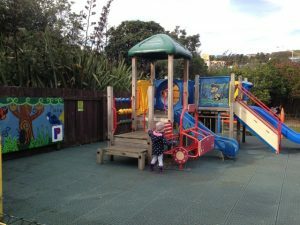 This is just off SH1 north of Porirua and is definitely the best playground in the area in terms of equipment, variety and space. The main feature of the general playground is a big wooden fort which houses slides, climbing ropes, a wobbly bridge and more. There’s also a Rocktopus, swings, a spider’s web, monkey bars under the fort and a couple of roundabouts. Some of the fort based equipment would be sheltered if it started to rain when you’re there because it’s partly covered. The preschoolers’ area has a fire truck, mini slides and tunnel. Next to the playground there’s a big grassy area suitable for picnics and running around. There are picnic tables dotted around the playground area. There’s a fenced large pond with ducks in it – unfortunately this is often filled with pond weed and the water can look pretty dirty but the ducks seem happy and accept food offerings! There’s a boardwalk going over the pond, accessed through gates but watch out as the low rope barrier which goes along this path, wouldn’t be enough to stop a kid toppling in. There are toilets near the pond. The lagoon is completely unfenced but has a path going all the way round it which is great for walks or scootering. Off this path are other grassy areas, a petanque ground and at the furthest point away from the playground (to the south), another garden including a smaller pond (with bridge over it) a rose garden, fern house and fountain. The electric train operates from just near here on Sunday afternoons (weather permitting) by Lions and goes right round the lagoon, over a bridge and through a tunnel. TOP TIP: get your kids looking out for fish and even sting ray in the lagoon – the best places to spot these are the platform at the southern end or the island about halfway along. Also, if you’re in need of a caffeine fix, there’s a coffee cart parked just outside the main gates. Finally, if the weather really turns nasty, the Police College opposite has a museum including dress ups and detective hunts and lots of interactive displays. 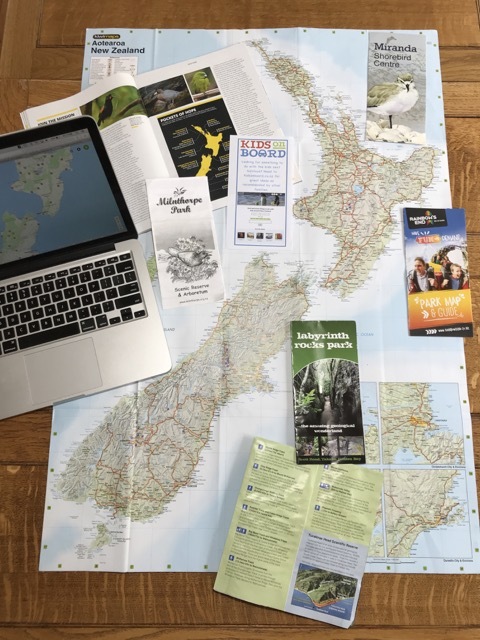 Address: Papakowhai Road, Porirua. Parking is available all along this road with additional small car parks at both the southern (closest to the train, rose garden and small pond) and northern end (closest to the playgrounds). 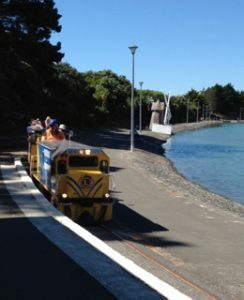 Open: Aotea Lagoon is open 24/7 but the trains operate Sunday 1-4pm only and dependent on the weather.